A couple of dramatic photos - see also here and here - and visual reports seem to document an anomalously high number of Taurid fireballs in recent days (and the shower is not over yet). In a scientific paper in 1993 Table III identified 2008 - like 2005 - as one of several possible "swarm years" for these meteors, when the Earth encounters heavier particles from comet Encke. Analysis of the ample data recorded in 2008 will help testing the model. • Remember the first predicted bolide a month ago? The fireball in the sky when asteroid 2008 TC3 met its fate was imaged directly only from satellites - but now a website of the SETI institute shows pictures of the smoke trail the meteor left in the atmosphere where it was lit up by the rising Sun. There is now also a rather detailled analysis of the whole case of 2008 TC3. In less fiery news Canadian comet Cardinal is visiting some galaxies while 29P (here on the 8th) continues fading away. • Saturn with its rings nearly from the edge, and the Moon, Jupiter & Venus, both on Nov. 6 (morning and evening, resp.). • There were 5 minor sunspot groups in October: Does this mean that solar activity will rise now? 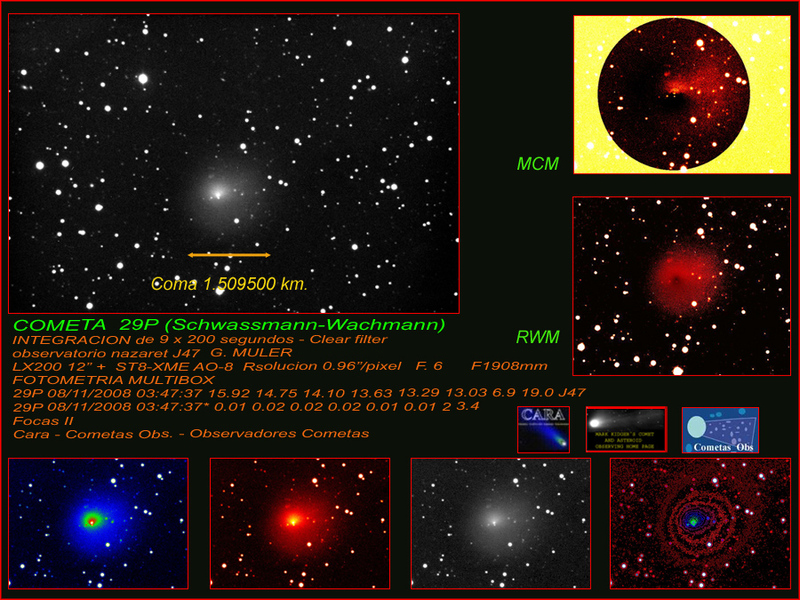 • A call for high-quality photometry of P Cyg. • Possibly the deepest UV picture ever - 40 hours integration in the U band - is making headlines everywhere. • A particularly strange sunset mirage effect, and lingering Kasatochi sky colors 12 weeks after the volcano blew. • What it's like to use robotic telescopes. • The IYA podcasting project is proceeding. • And finally, the "German Stonehenge", the horizon observatory on Halde Hoheward in the Ruhr Area, has been inaugurated on Nov.8 as many pictures here and here document. The astronomy of millennia past demonstrated on a huge, lonely artificial mesa - a unique way to engage (hopefully) the public in fundamental questions of science. The two big arcs (which strongly reminded this blogger, when visiting the construction site, of a certain machine in the movie "Contact" :-) represent the celestial equator and the meridian while numerous precision sighting instruments are also incorporated. World of Warcraft wow gold monthly comic wow power leveling series hits wow powerleveling stands today! This power leveling new ongoing series powerleveling kicks off with wow power leveling part 1 of a 6-part wow powerleveling story arc written power leveling by Walter Simonson powerleveling and illustrated wow gold by sensational wow power leveling French artist wow powerleveling Ludo Lullabi power leveling and Sandra Hope powerleveling Each issue of wow gold the 6-issue story wow powerleveling features two different power leveling covers: one by comic book legend powerleveling Jim Lee and the other by Blizzard's very own Samwise Didier!